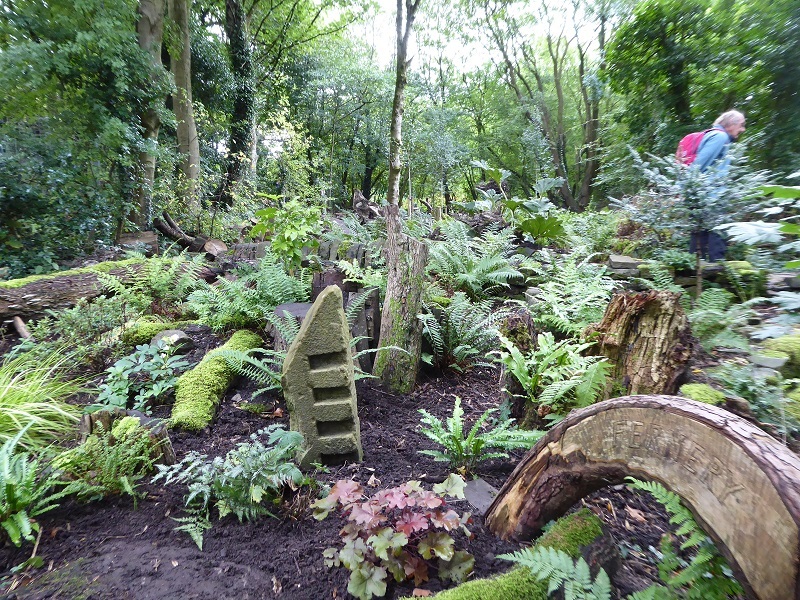 The Manchester and North Midlands Group visited the Fernery in Broadbottom on 15th September. There will be a full report of the day in the Bulletin, but meanwhile here are a few pictures. 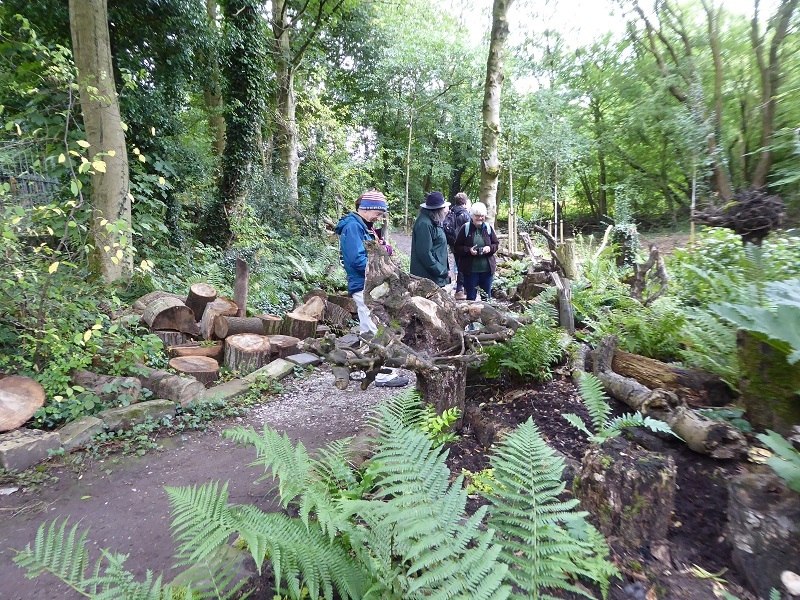 Sue Roberts, Greenspace Officer for Tameside Council, together with several of the volunteers responsible for the work, met us at the Lymefield Garden Centre and café, and took us through the site to the Fernery. 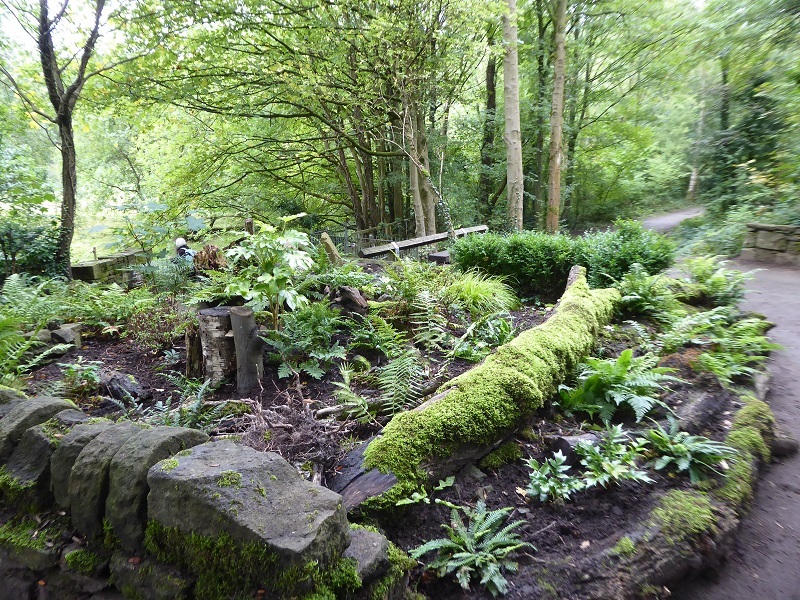 There was a definite ‘wow factor’ as we turned the corner and saw the transformation that has taken place. 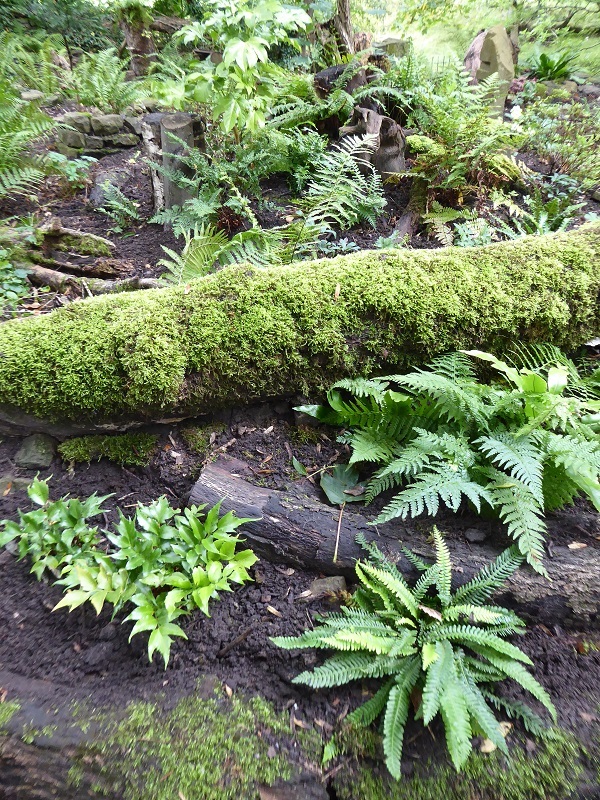 In place of compacted earth, brambles, and weeds there is now an attractive fern garden, beautifully designed with interesting logs, stumps, paths, and stone work. There is still more work to be done. 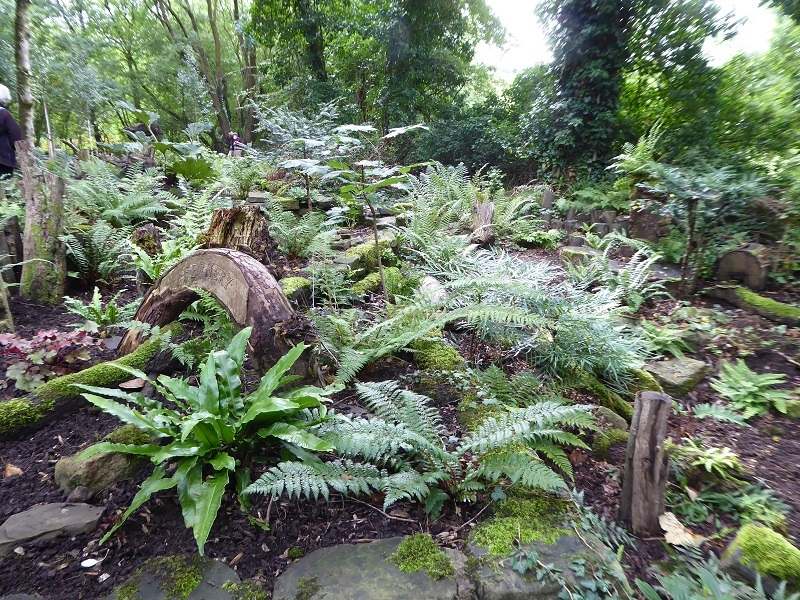 Donations of hardy ferns welcome. The Manchester group is planning a mid-week ‘working day’ next year, when we can join volunteers to help with gardening and planting. 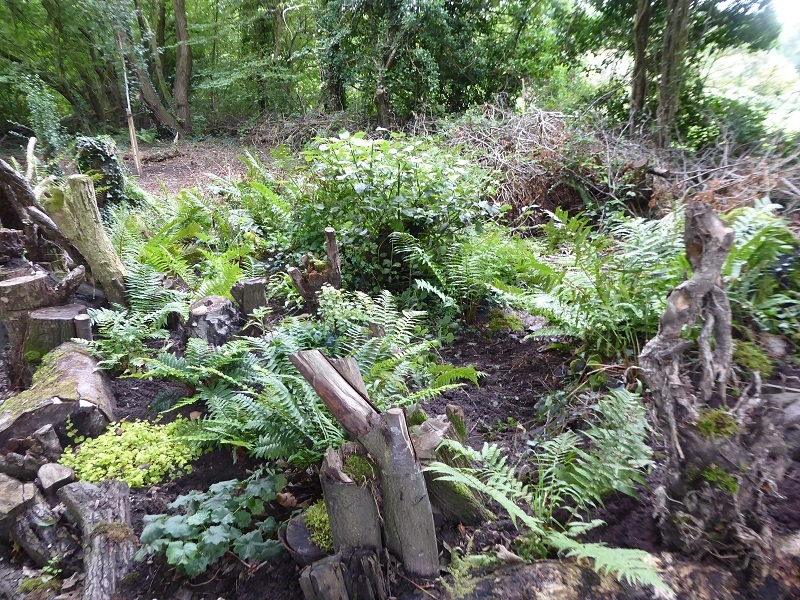 Imaginative use of stumps and logs in the section next to the area to be developed.